Located in the west island of Bermuda, Caroline Bay is prominently featured in the Great Sound with The Cove, a Ritz-Carlton Reserve Residence, hugging the shores of Little Sound. You can enjoy this private enclave or venture out with easy access to Hamilton in 25 minutes and the airport in 40 minutes. 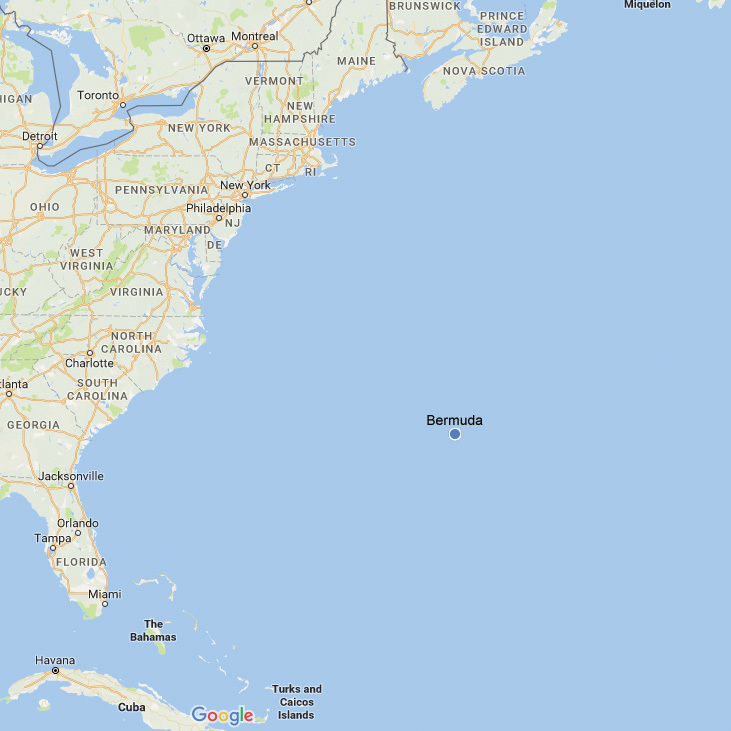 Caroline Bay, Bermuda is a 182-acre, ultra-luxury, master planned, waterfront destination and community located in the west end of Bermuda in Southampton and Sandys Parishes. 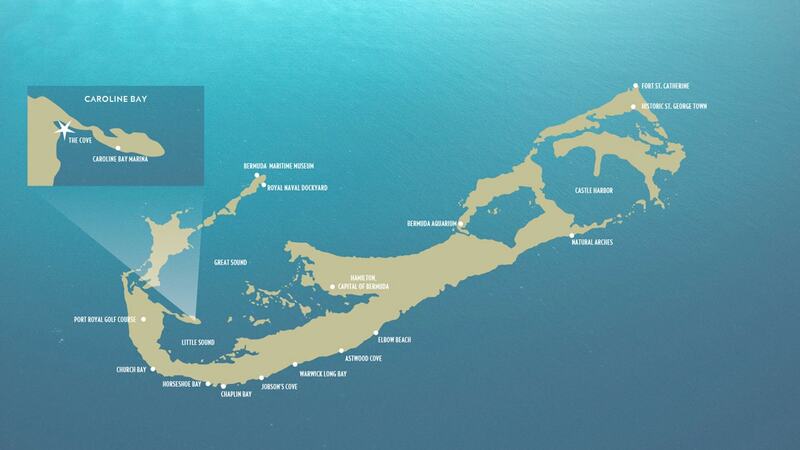 It is one of the largest developments in the history of Bermuda, and there hasn’t been a development of this scope in over 40 years. With its pink sand and crystal clear blue waters, the destination will be home to luxury branded Ritz-Carlton Reserve Residences, a Reserve hotel with restaurants, world-class spa, high-end retail, conference center and kids club. 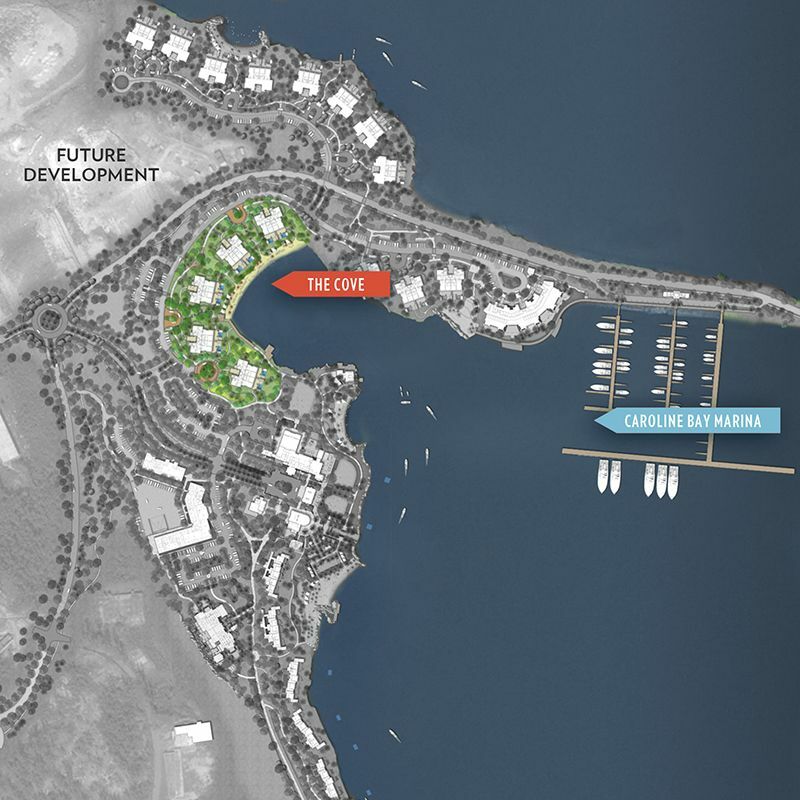 Adjacent to the development is Caroline Bay Marina, a superyacht marina for visiting yachts and Ritz-Carlton Reserve Residences. Life is beautiful when you have a private super yacht marina next to you. 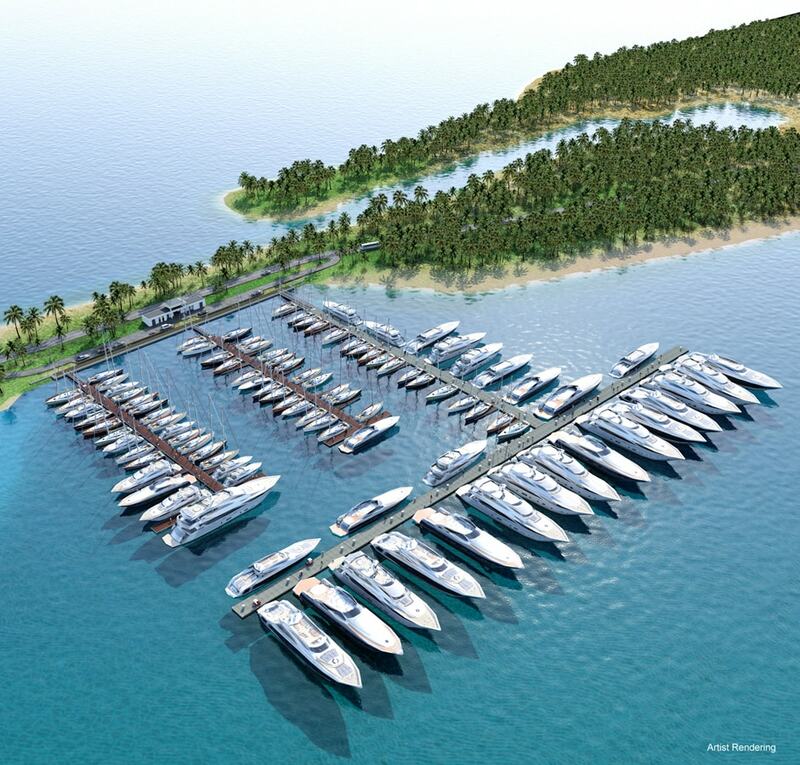 This full-service marina has 80 berths for the exclusive purchase by Ritz-Carlton Reserve Residence owners and space for an additional 30 transient yachts. Services include water, sewage pump out, electricity, fuel and concierge services to ensure that your stay at the marina is a five-star experience.